Domenico Tintoretto (1560-1635), trained in Venice in the workshop of his renowned father, Jacopo. 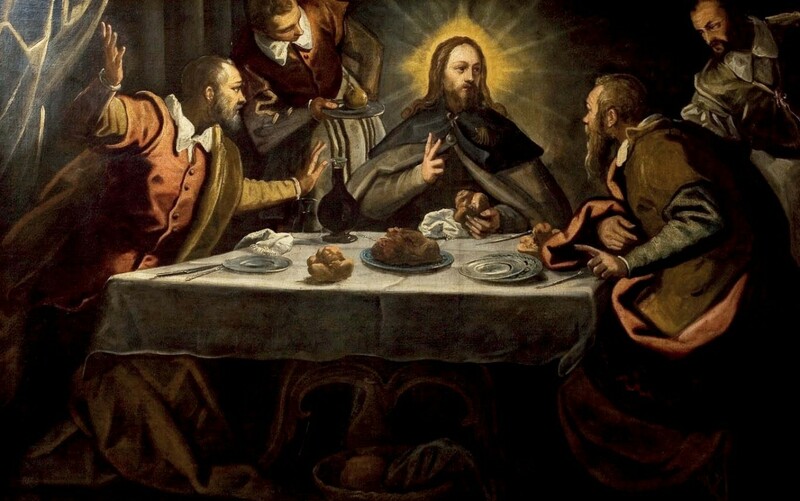 ‘Supper at Emmaus’ by Domenico Tintoretto that will be offered at Ansorena Subastas in Madrid, where it is estimated to sell for €70,000. This influence is evident in his works and the two men later worked together on many projects before Domenico received independent commissions. Supper at Emmaus will feature in the next auction series at Ansorena Subastas held in Madrid on April 11-13. Known for his portraits as well as mythological and religious subjects, it has been said that Domenico began by imitating his father’s style, only to later experiment with chiaroscuro and light as a way of defining shape and form. The 4ft 3in x 6ft 8in (1.29 x 2m) oil on canvas is estimated to sell for €70,000.